Breaking up of the cake into the surrounding liquid to form a slurry. Intimate contact of liquid and solid particles. Long periods of soaking in appropriate aqueous or organic solvent are sometimes required to break up the cake. The filter or centrifuge cake is in the form of large lumps which conventional agitators cannot easily break down. Even after the cake has been reduced to smaller particles, conventional agitation will not break up clumps of individual agglomerates or crystals. Some filter cakes are hard with abrasive particles which can cause excessive wear to machinery. Mother liquor trapped in clusters and agglomerates may be a contaminant and require a further filtration or centrifugation step to eliminate. The vessel is charged with the aqueous or organic solvent. The mixer is started and the filter cake is added. The powerful vortex created by the high speed rotation of the rotor blades draws the filter cake and surrounding liquid into the workhead. The high shear mixing action rapidly combines the materials. 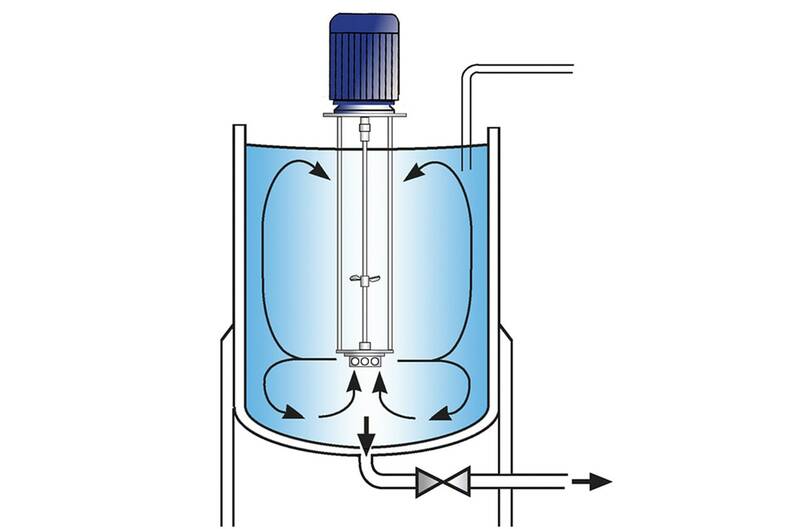 The liquid and solid ingredients are driven to the periphery of the workhead by centrifugal force. The filter cake is broken down in the gap between the rotor and stator wall before being forced out through the stator into the body of the mix. Fresh material is simultaneously drawn into the workhead. This creates a vigorous circulatory pattern within the vessel, ensuring all the material passes through the workhead many hundreds of times. 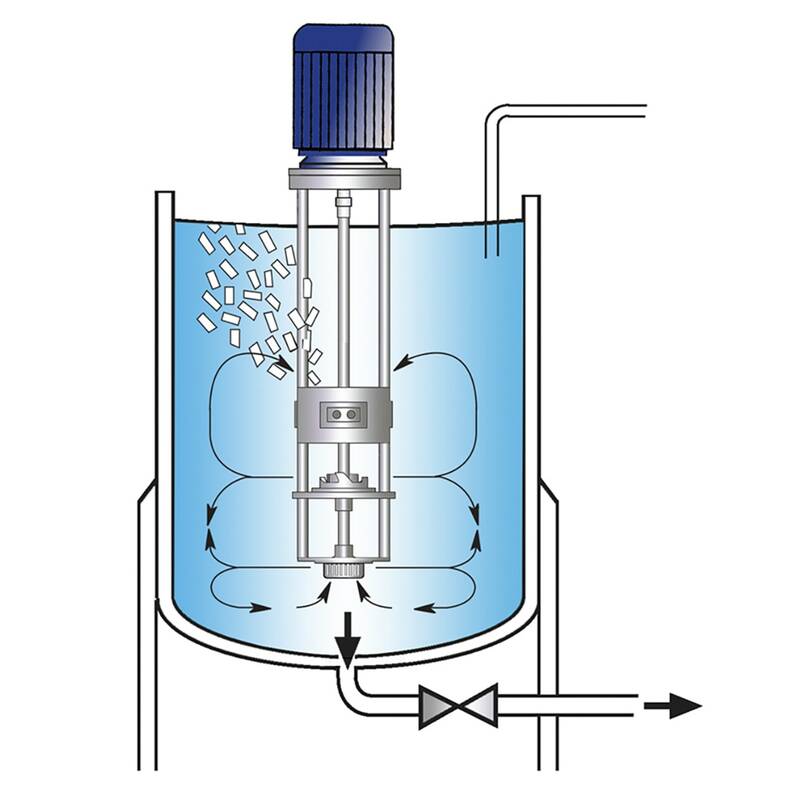 The filter cake is thoroughly dispersed into the surrounding liquid in a short mixing cycle. 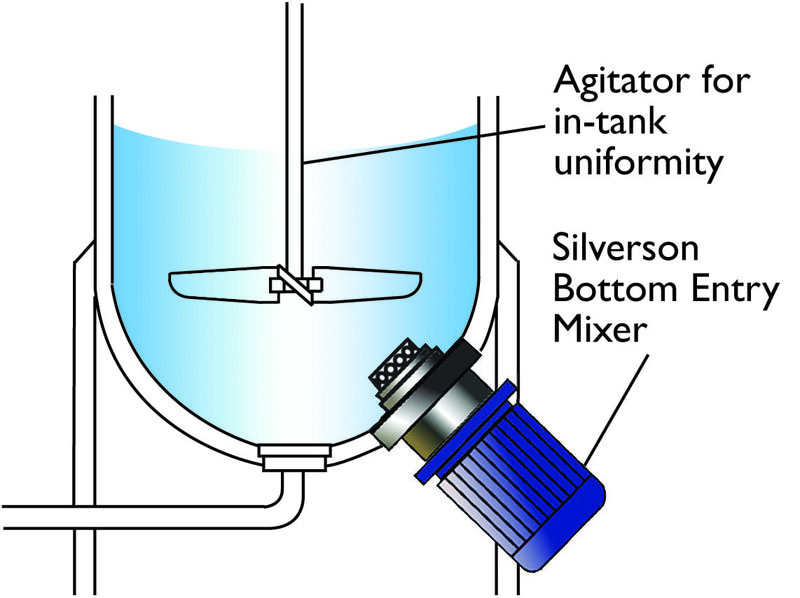 A Silverson High Shear mixer has the capacity to disintegrate both large and small lumps of cake and agglomerates. The high speed operation and greater efficiency leads to shorter process time, reduced wear on machinery and considerable savings in downtime and replacement parts. Pre-soaking or re-working is not required, greatly reducing process time. The process can be carried out in a single vessel, or continuously in-line. May eliminate the need for additional equipment. 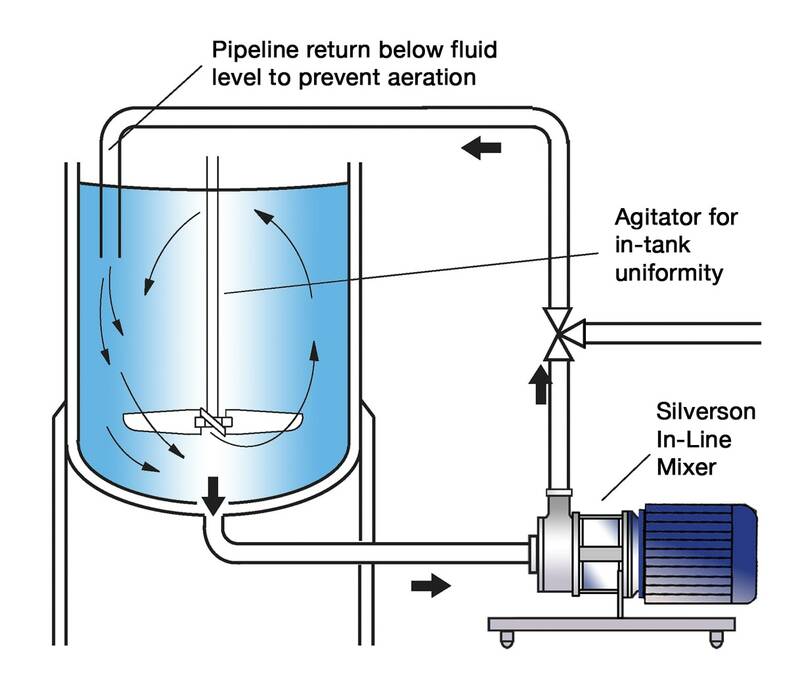 “Wash” steps can be done continuously and instantly with a Silverson In-Line mixer, greatly reducing process time and eliminating the need for additional vessels and processing stages.